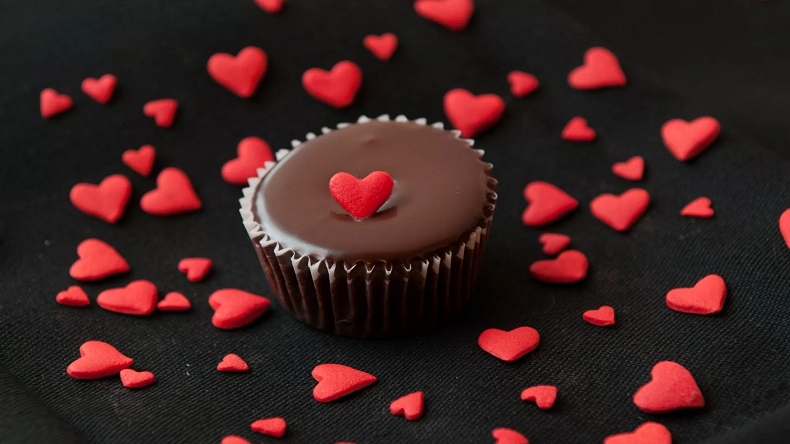 Download Happy Chocolate Day 2019 stickers, wallpapers, images and photos for WhatsApp, Facebook and Instagram for Lovers: On the eve of chocolate day, people gift their partners chocolate and make them feel special. Here are some GIFs to greet your partner on the chocolate day. Valentines week is on the roll and the youth is busy celebrating it with a lot of energy and excitement. The valentines week started from the rose day on the 7th February and was followed by Propose day on 8th February. Now the next day to be celebrated is the chocolate day which falls every year on 9th February.On the eve of chocolate day, people gift each other different types of chocolates like hot chocolate, dark chocolate, a bouquet of chocolate, etc. Chocolate is one of the most beautiful gifts you can give to your partner and make them feel special and important at the same time. Chocolate is also referred to as God’s food and it plays a big role in increasing the intensity of romance. Its a sort of tradition to gift chocolate while proposing someone. According to a scientific fact, while eating chocolates, a person feels the same as felt at the time of being in love. Chocolates are only used as dessert but it has a lot of medicinal qualities. You’ll be happy to know about the health benefits of chocolates as it adds a reason to eat more chocolates. Lowers Cholesterol: Yes, it’s true. according to a study which was published in the Journal of Nutrition, eating chocolates reduces the level of cholesterol in your body. Improves Cognitive Function: Chocolates help your brain to work in a faster way. A study of Harvard University stated the fact that drinking only two cups of hot chocolates on a per day basis can increase the ability of the brain. Reduce Heart Diseases: According to a study published in the Journal heart, if a person eats up to 100 gms of chocolate per day then the risk of strokes will be decreased. These are some of the health benefits of chocolate, so now go and gift chocolate to make your partner feel special.